Taken out of the verification diary! 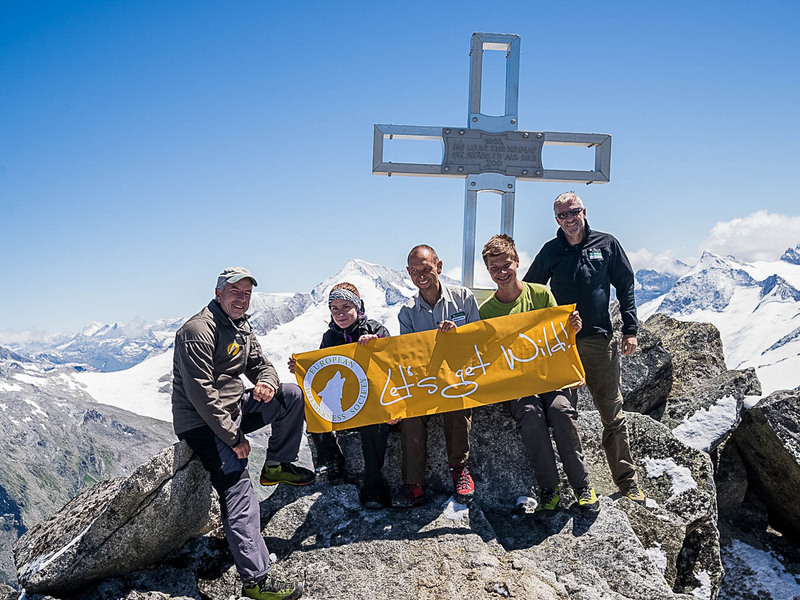 At the beginning this week 2 Verifiers of the European Wilderness Society arrived at Mittersill, Austria for the Verification Mission in the Hohe Tauern National Park, one of 3 interested parks for Wilderness certification in Europe in 2015. Opening meeting was attended by the National Park Director mr. Wolfgang Urban, the Natural Resource Manager mr Ferdinand Lainer and mrs. Kristina Bauch responsible for science and research questions in the National Park. The team discussed topics like the final zoning of the wilderness area, wildlife and game management as well as present and future research activities. Today we spent full day in Untersulzbach Valley. After leaving the car left and right steep slopes already belong to the wilderness zone but narrow bottom of valley is still buffer zone due to traditional grazing. Our guide Feri will lead us to the place where the trail will end at the border of wilderness area. The area we are assessing today includes also small fragments of old spruce and cembra pine forest hanging on steeps rocky walls. High among the cliffs we see also small flocks of chamois and even higher rugged surface of glaciers. After 2 hours of hiking we are leaving last calm cow grazing along the trail and entering to the area with no sign of extractive use. The valley is full of thundering milky water of Untersulzbach Creek running nearby. We are at the door of best wilderness area in Hohe Tauern NP. This is end for today! To the end of this valley we will go on coming Monday with a group of researchers. During that day we want to assess how is wilderness subject incorporated to the overall park research work. Walking down we interview Feri on subject of park partnership concept with local farmers, impact of hunting and intensity of forestry operation outside of park. All these information are helping us to better understand local situation and put together complicated puzzle of wilderness conservation in this park. Thursday and Friday we worked in Wilderness core zone located at the end of Kimmler Achental and Obersulzbach Valley. Due to remotes and elevation we spent there 2 days. Thursday in heavy rain Wolfgang Urban, Ferdinand Lainer and Ferdinand Rieder from Hohe Tauren NP, the two auditors from European Wilderness Society hiked two hours to the Warnsdorfer Hutte. After assessing the Obersulzbach-valley and Habach-Valley as well as the Krimmler Achen-valley last week, the two verifiers of the European Wilderness Society focused their work to Untersulzbach-valley. The mining activities in the past were subject they work in the morning. After visit of old mining place, turned to attractive visitor place, they hiked high up to the Untersulzbach-glacier, which lays in the same-named valley and in the special protected area of the National Park. Accompanied by the National Park’s director Wolfgang Urban, the property structures and the characteristics of this valley were discussed during this hike. The focus was put on the special protected area which mostly belongs to a German nature protection NGO, who received these grounds in exchange to land in the Stubach- and Felbervalley already in the 1930/40. To assess light and noise pollution in the valley, the verifiers and the National Park director stayed on site for this night to get an appropriated impression of these issues. Remarkable was the difference of the biodiversity of the meadows in and outside the special protected area whereas most parts of the special protected area have never been grazed or the grazing was given up already years ago. After hiking through almost all of the proposed Hohe Tauern Wilderness, we spent the last days in the office and verified our findings in several meetings with the staff. Why is it important to talk about wilderness? Issue of wilderness size vividly discussed!